Among the fast-paced market of minimalistic fashion lines, there is one Spanish brand that fulfils all the sacred wishes of a committed minimalist and the extravagant deep inside. Uterque is talking to a particular group of women, and if you’re in their target, you’ll probably love the garments in the new Uterque fall/winter 2015-2016 campaign. To get your style ready for the cold season, think ice and snow, glacier fields and the dark winter sky. The new Uterque 2015 collection is expected to be seen in the streets this fall and winter and it’s all about what we love this brand for ” exceptional tailoring, strong silhouettes, and the structured look. If you’re into these, you’ll love the attention-grabbers of the upcoming season – the perfectly tailored jackets and coats. Ditch the leather and lace, as leather and fur is the new killer combination. The soft and dark fur is aligned with slick black leather sleeves and pants ” a look for the sophisticated daytime professional and the biker in the evening. The new Uterque pieces might not be for the lovers of over-femininity, since the collection is all about absence of shapes and strong shoulders. The dresses feature a shapeless elegant style, some adorned with the asymmetric flare at the bottom. Pants are mainly loose reaching below-the-knee length, this way putting the focus on your ankles and the awesome laid-back shoes. As for the tops, there’s more variety here. Starting with flaring V-necks to fitted jewel tops, pick your favorite. 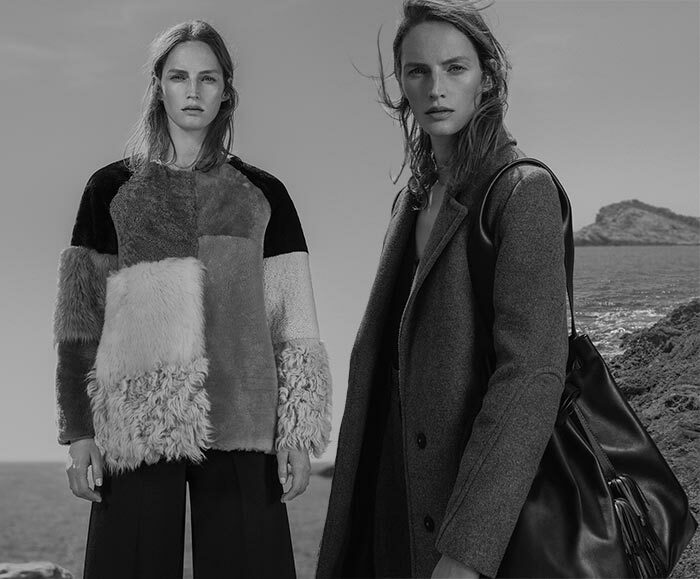 The color palette has also stayed true to Uterque traditions, mainly featuring black, white, and grey. There is also some coral and blue involved, but the overall black-and-white palette is in the main frame. We see a few comebacks as well. You might want to reconsider the good old leather pants and the ’70s favorite ” the flared pants, this time coming with patch pockets on the front. Another must-try is the fringe jacket, a clear sign that the Uterque fall 2015 collection is not for those who sit in the corner; it’s created for movement and screams to you to show it off. The highlights of the campaign are undoubtedly the puffy fur coat, reminding snow fields on naked black ground, and the elegant cream coat. Add the white fitted dress with a long fringe hem at the bottom, and there is no way you can walk unnoticed. These looks are for shoppers with an impeccable self-confidence and ambition. We’re expecting some strong wind in the city, as these pieces are excellent for the messy look after a hangover, and they’ll get you ready for your daytime ambitions in no time. Whether it’s a serious business meeting or lunch with friends, girl, all eyes will be on you. 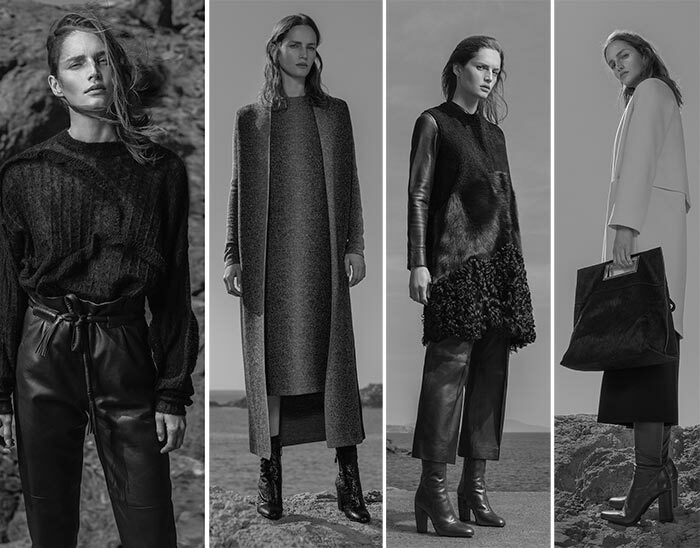 Uterque has shown us a big diversity in one collection, which is pretty rare these days. In fact, it can appeal to women of different worldviews, rocking the same unique minimalistic style. Forget about the centuries-old looks, classics on runways, or the vintage movement, this brand is as modern as its new collection. Its garments and accessories are meant for the new generation and those who are never shy to take a bold step forward.